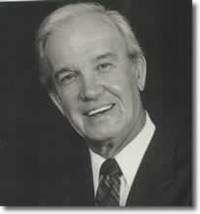 Augustine "Og" Mandino II (December 12, 1923 – September 3, 1996) was an American author. He wrote the bestselling book The Greatest Salesman in the World. His books have sold over 50 million copies and have been translated into over twenty-five different languages. He was the president of Success Unlimited magazine until 1976 and is an inductee of the National Speakers Association's Hall Of Fame. Mandino was born December 12, 1923. According to the 1930 U.S. Census, he was named after his paternal grandfather. Mandino was once the editor of a high school paper and planned to attend the University of Missouri's journalism school. But in the summer of 1940, before Mandino was able to enter college, his mother died suddenly from a massive heart Augustine "Og" Mandino II (December 12, 1923 – September 3, 1996) was an American author. He wrote the bestselling book The Greatest Salesman in the World. His books have sold over 50 million copies and have been translated into over twenty-five different languages. He was the president of Success Unlimited magazine until 1976 and is an inductee of the National Speakers Association's Hall Of Fame. Mandino was once the editor of a high school paper and planned to attend the University of Missouri's journalism school. But in the summer of 1940, before Mandino was able to enter college, his mother died suddenly from a massive heart attack. This happened while Mandino's mother was in the kitchen preparing his lunch. After the incident, Mandino decided to work in a paper factory until 1942. Afterwards, Mandino joined the United States Army Air Corps where he became a military officer and a bombardier. He flew for thirty bombing missions over Germany on board a B-24 Liberator during World War II. It was also during this time that Mandino flew with fellow pilot and movie star, James Stewart. Mandino kept a personalized 8 X 10 photograph of Stewart. This photograph hung on the wall of his home office where he wrote his books. After his military duties, Mandino discovered that many companies were not hiring many former bomber pilots. As a result, he became an insurance salesman. Traveling on the road and sitting in bars at night, Mandino became an alcoholic. He was unable to keep a job. As a result, Mandino's wife, together with their only child, left him. One wintry November morning in Cleveland, Mandino almost tried to commit suicide. But as he sorted through several books in a library, volumes of self-help, success and motivation books captured Mandino's attention. He selected some titles, went to a table and began reading. Mandino followed his visit to the library with more visits to many other libraries around the United States. He read hundreds of books that dealt with success, a pastime that helped him alleviate his alcoholism. It was in a library in Concord, New Hampshire, where he found W. Clement Stone's classic, Success Through a Positive Mental Attitude, a book that changed Mandino for the better. The Christ Commission: Will One Man Discover Proof That Every Christian in the World Is Wrong?